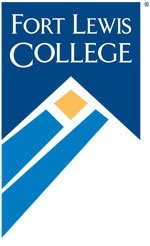 Create an internship partnership with Fort Lewis College! Ability to promote critical thinking, observation & reflection? At least 50 hours of work? Desire to share your expertise? A need for new talent? An extension of the classroom learning experience. Provides transferable skills or knowledge. A defined amount of time. Includes clearly defined goals & objectives. Provides resources, equipment, & facilities. Step 1: Review the Fort Lewis College Internship packet. Step 2: Post your internship.